Hanoi (VNA) – The Government has pointed out major tasks in 2019 for several ministries in a resolution of its March regular meeting. 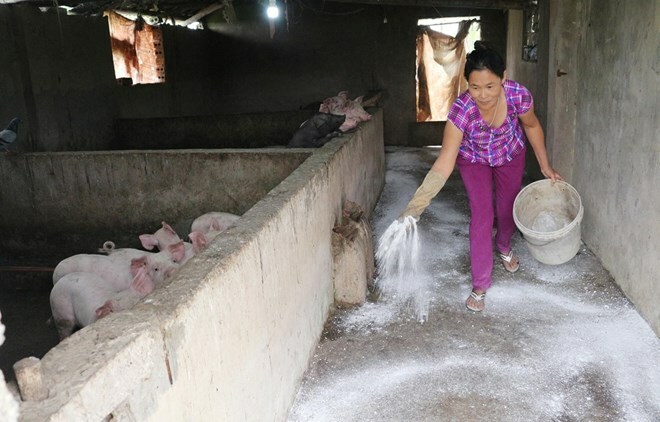 The Government asked the Ministry of Agriculture and Rural Development (MARD) to step up agricultural restructuring, take measures to prevent and control diseases, especially African swine fever, and improve husbandry to ensure stable food supply. The Ministry of Health was requested to focus on expanding vaccinations, strengthen management over medicine businesses and distribution, and apply information and technology in health check-ups and treatment. Meanwhile, the Ministry of Industry and Trade (MoIT) was urged to carry out measures to develop the domestic market and boost exports, and coordinate with the MARD in solving difficulties in agricultural exports. The MoIT was also requested to speed up the progress of large-scale industrial projects, and intensify disseminations on opportunities and challenges of the Comprehensive and Progressive Agreement for Trans-Pacific Partnership (CPTPP) to localities and enterprises. The Government asked the Ministry of Transport to speed up the implementation of important transport infrastructure projects to soon put them into operation so as to contribute to development.